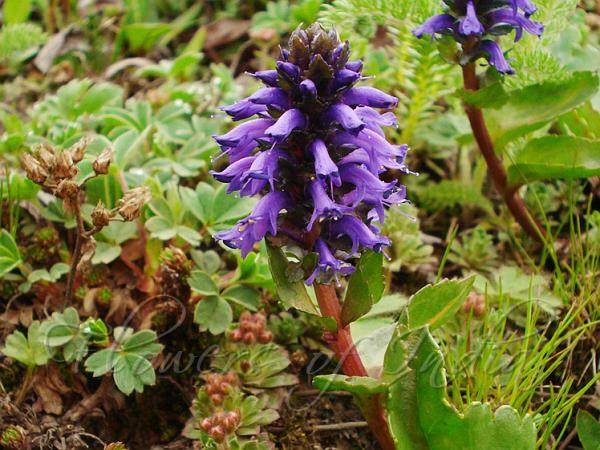 Kashmir Lagotis is a perennial herb with cylindrical spikes of dark blue tubular flowers 3-4 cm long. Flowers are tiny, 4-5 mm, with rounded petals. Bracts are much smaller. Oblong to elliptic leaves, 3-6 cm, are stalked and have rounded teeth on the margin. The plant is about 3-15 cm tall, leafless below, and with stem-clasping leaves above which gradually become smaller above. 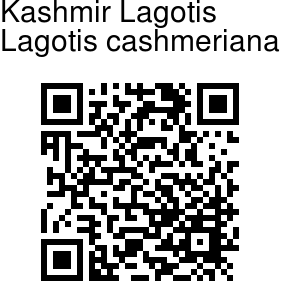 Kashmir Lagotis is common on the alpine slopes of the Himalayas, from Pakistan to Himachal Pradesh, at altitudes of 3300-4500 m. Flowering: June-August. Photographed at Rohtang Pass, Himachal Pradesh.